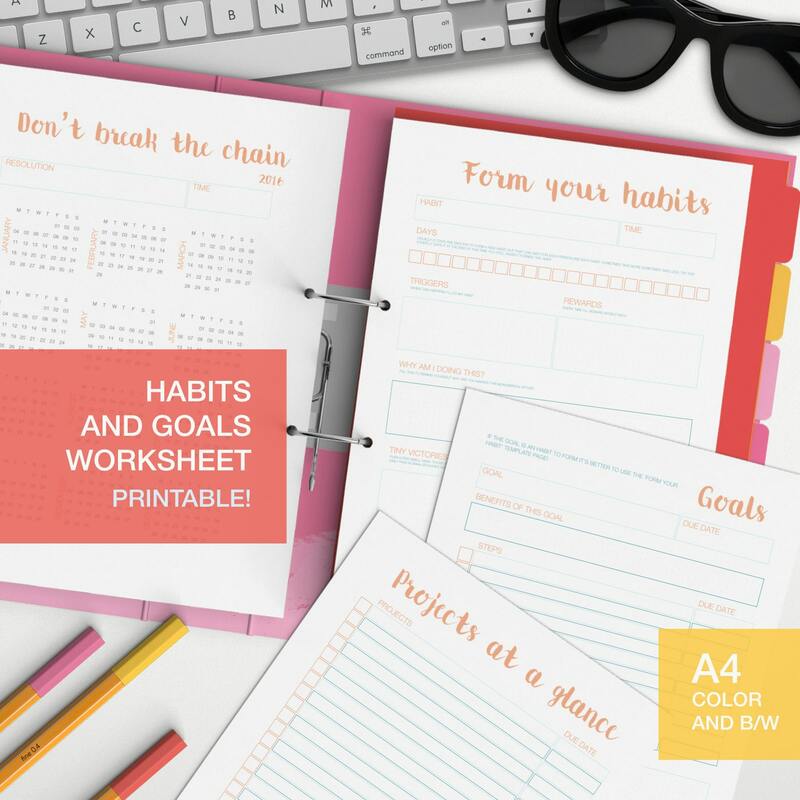 Printable Habits and goal worksheets for your self care and habit forming! Track your goals template! Also a Don't break the chain calendar! The 8 files (4 in color and 4 in Black and White) are A4 sized PDF and as such you'll ned a pdf reader such as adobe acrobat reader to open them. So many sheets means so much customization! You can change between habits, goals, and make dates by when you want to finish those goals! 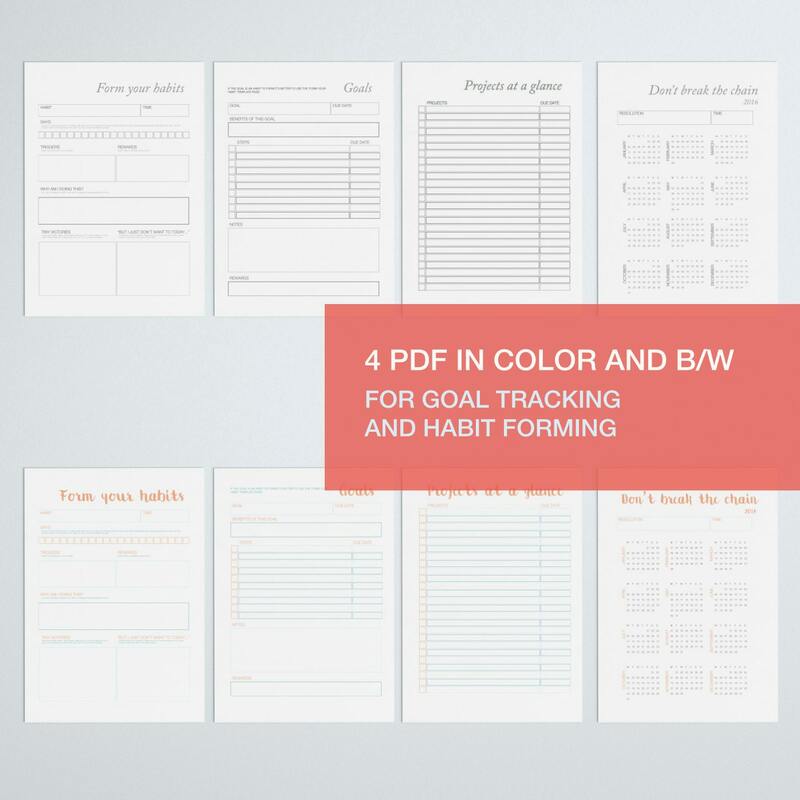 It's quite helpful for keeping track of habits I want to build.